The FIH inexplicably and confusingly use a system not used in any other sports League in the World, of making the Percentage more important than Points until the end of the League when they will revert to Points only. Fieldhockey.com prefers to use the conventional Points and so the Unofficial Pool Standings on this site are reflected in this manner. A solitary goal from Agustina Albertarrio gave Argentina a third successive victory away from home in the FIH Pro League, defeating hosts China 1-0 in front of a vociferous and enthusiastic crowd at the Wujin Hockey Stadium in Changzhou. Albertarrio hit what proved to be the winning goal in the tenth minute of the contest, scoring from close range against a China team that dominated large periods of the game but failed to find a way past an Argentina defence that has now gone three matches without conceding. 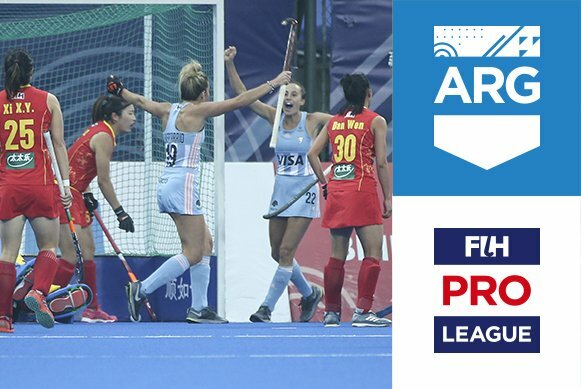 The result sees the second-placed Leonas narrow the gap on leaders the Netherlands at the top of the FIH Pro League standings, with Argentina having claimed 76.2 percent of the available points compared to 80 percent by the Dutch. China’s fourth defeat sees them remain seventh in the league table ahead of their home match against New Zealand on Friday (22 March). Both teams had good reason to feel confident about their chances ahead of this fixture. Argentina (FIH World Ranking: 4) arrived in Changzhou following back-to-back away victories over New Zealand and Australia, while China’s (WR:10) recent home win over Germany was another important milestone for a talented young team that appears to be developing at a rapid rate. With Las Leonas missing two of their greatest attacking assets in 2017 FIH Player of the Year Delfina Merino and inspirational veteran Carla Rebecchi, China’s hopes of getting a result against the in-form South American giants increased significantly. The home side made a bright start to the contest and almost opening the scoring through Peng Yang, who found space in the attacking circle but failed to test Argentina goalkeeper Belen Succi. With far from impressed Leonas Head Coach Carlos Retegui barking orders from the side lines, Argentina soon found their feet in the contest and opened the scoring in the 10th minute when an unmarked Agustina Albertarrio received the ball directly in front of goal before seeing her raised effort clip the pads of China goalkeeper Ye Jiao before bouncing over the goal-line. China searched hard for an equaliser in the second and third quarters but found Argentina's defence in defiant mood. Xi Xiayun saw her goal-bound efforts blocked by both Succi and Player of the Match Lucina von der Heyde in the second quarter before Argentina’s Julieta Jankunas scored against the run of play in the third quarter only for it to be ruled out by a video umpire referral. China threw everything they had at their opponents in the final period, but for all their industry they could not find that all important finishing touch in front of goal as Argentina claimed a third successive win on the road. Remarkably, it is now 206 minutes since Argentina last conceded in the FIH Pro League, having claimed three successive clean-sheet wins since a 34th minute strike from Dutch ace Pien Sanders saw Las Leonas lose 2-1 against the Netherlands in Buenos Aires on 24 February. The FIH Pro League continues in China on Friday 22 March as China welcome New Zealand to the Wujin Hockey Stadium in Changzhou. itter. 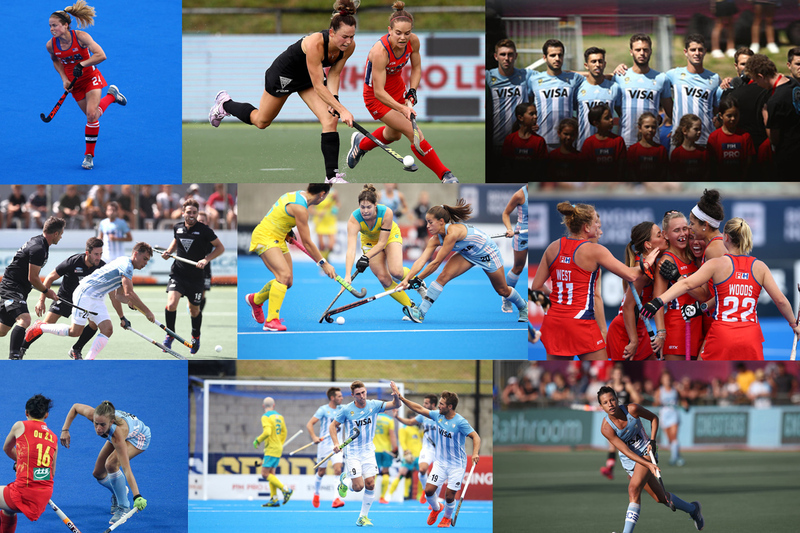 The aim of the inaugural FIH Hockey Pro League was to create an exciting home and away global league that would introduce hockey to new fans and create an exciting live sports event at venues around the world. And in so many ways the new league has delivered. In 17-year-old Mackenzie Allessie, USA women have found a new star. For Argentina, it is the old guard who are leading the way as Carla Rebecchi stormed back onto the international stage after the birth of baby Vera with two Player of the Match performances in the opening two games the Pro league season. And the 14 men of Argentina, five of them making their debut, put paid to a resolute New Zealand with a sparkling performance that bodes well for Los Leones’ future. Of course, as expected with a brand new concept, there have been teething problems: notably India and Pakistan’s withdrawal – the former by choice, the latter after they were suspended amid financial concerns. Spain men and Belgium women took the places vacated by India, but Pakistan’s withdrawal was so late that there was no time to find a replacement. This means the inaugural FIH Pro League has eight men’s teams and nine women’s teams. At the culmination of the league, the teams finishing in the top four positions will automatically go to an Olympic qualifying event. There are also ranking points available for all the teams depending upon where they finish in the Pro League. Also to be expected at a new event is the unexpected and that was certainly the case when Germany arrived in Argentina. First the women endured four weather breaks during the match and subsequent shoot-out as thunder and lightning crashed around the stadium in Buenos Aires and then the men’s match was abandoned altogether. It was a situation that caused Match Manager Lurah Hess considerable torment. “While weather was creating havoc on the pitch for the Argentina and German women, I was in contact with the International Hockey Federation to discuss the plan for weather disruption and managing a card suspension at the same time”, she says. Multi-tasking doesn’t come near describing Hess’s balancing act for those moments. And so to the FIH Pro League action, where our continent is represented by Argentina men and women, and USA women. A solid 2-0 win against Belgium in front of a sell-out crowd at the Estadio Municipal de Hockey in Cordoba meant that Argentina were also the first women’s team to win points in the new Pro League. The men were unable to repeat the feat, as they fell foul of a Belgium side that were buoyed by their recent victory at the World Cup. The 4-2 loss added insult to the fact that Belgium had also recently leapfrogged both Australia (WR:2) and Argentina (WR:4) to become the number one ranked side in the world. It has been three years since Argentina last hosted a FIH international tournament – the 2015 women’s Hockey Champions Trophy was the last such occasion – and the huge crowds showed they had been missing top flight hockey. The next women’s match was an all-PAHF affair as USA (WR:12) travelled to Cordoba to take on Las Leonas. Janneke Schopman, the USA head coach is presently in the middle of rebuilding her squad after a raft of retirements followed the Vitality Women’s World Cup. Despite this, it was the USA, via the skill and verve of squad newcomer Mackenzie Allessie, who produced a moment of magic for the visiting side when she jumped onto a poor clearance from Argentina’s goalkeeper Belen Succi before slotting home from a tight angle. Things got even better for USA in the second period when they doubled their lead through Lauren Moyer, who was celebrating her 50th international appearance. Going into the final quarter, USA might have believed they had won all three points but, as so often has happened in the past, it was Carla Rebecchi who came to the rescue. The 34-year-old showed a blistering turn of pace to split the USA defence before rounding the goalkeeper, Kealsie Robles, and halving the deficit. Rebecchi then played a crucial part in Argentina’s equaliser, sending a flicked penalty corner effort towards goal for captain Delfina Merino to touch home, sparking noisy jubilation in the stands. The ensuing shoot-out went the way of the host nation, with Merino, Silvina d’Elia and Lucina von der Heyde all scoring before Belen Succi denied Nicole Woods with a diving stick save to ensure her team emerged as 3-1 winners and took the bonus point. Both USA and Argentina women then faced the toughest of challengers as the world number one side, The Netherlands, came calling. Both PAHF teams fell to Alyson Annan’s team, USA lost 5-0, while Argentina lost by much narrower 2-1 scoreline. The Argentina men’s side fared much better: the old guard of Matias Paredes (2) and Lucas Vila (2) were the goalscorer in Los Leones thrilling 4-3 victory over the Dutch. It was a different story for Argentina women as they won both their encounters. However, it was Argentina men who performed a remarkable feat, beating New Zealand with a team that was missing a galaxy of stars – among them Juan Vivaldi, Gonzalo Peillat, Pedro Ibarra and Matias Paredes – and with debutant players. It is a sign that German Orozco and his coaching staff are reaping the benefits of a strong development system. As the action transfers from the Southern hemisphere to the Northern hemisphere, Argentina women are currently in second place behind the Netherlands. USA are in ninth position just behind Great Britain. Argentina men are in fifth place, a few points behind Germany. There are inevitable hiccoughs with a new league and a new playing format. It is tough on the players, coaches and team staff as they have to leave family and jobs for long periods of time. It is tough on the officials, with both Maggie Giddens and Lurah Hess admitting it was only because of very understanding family and work colleagues that they could handle the demands of the Pro League. Cameras have panned on empty seats in stadiums which is at odds with the stated ambition of ‘packed stands’. Hockey fans have been vocal in their criticism of a lack of access to some matches because of various broadcasting issues. But these are all issues that were inevitable in the opening season. On the reverse, one has to acknowledge the passionate fans that packed the stadiums in Cordoba and Buenos Aires. And there is no getting away from the fact that most of the Pro League games have provided an incredible showcase for some of the best hockey talent in the world. Olympic gold medal winner Laura Unsworth is back from injury, while Scotland's Amy Costello is set for her FIH Pro League debut after missing the first round of matches. Head Coach Mark Hager said, "We are looking forward to playing again after a three-week training phase, USA and Argentina will be a good challenge for the group and provides another opportunity to work on the team structures and concepts. "It’s great to have Laura Unsworth back with the team, she missed our past three games due to injury, so we’re excited to have someone with Laura’s experience and leadership back involved, along with Amy Costello and Sabbie Heesh. "Young midfielder Alex Malzer has shown good development in our EDP programme and has now been provided with this opportunity to further assist her in growing on the world stage." Alex Malzer could become the first player born this century to play for Great Britain women after the Sussex teenager was called into the FIH Pro League squad. GB Hockey announced on Thursday a 20-strong squad for their matches against USA and Argentina in the latest batch of global league fixtures. Laura Unsworth is back from injury, while Scotland’s Amy Costello is set for her FIH Pro League debut after missing GB’s opening set of matches. Goalkeeper Sabbie Heesh is called up, but it is the introduction of Malzer which is the biggest surprise. 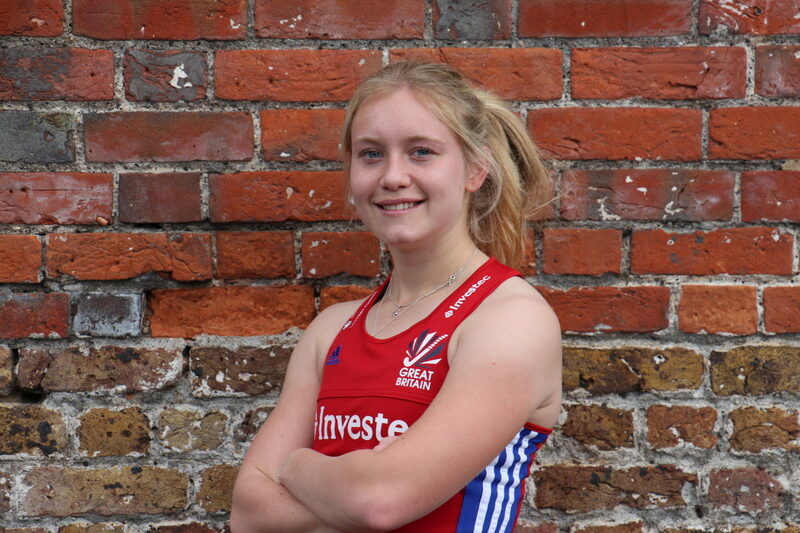 The 18-year-old, a former student at Ardingly College, has represented England at under-16 level and is a multi-talented sportswoman after success at junior football level. The University of Nottingham student is also the latest to emerge from the Elite Development Programme, following the likes of Tess Howard into the squad. Coach Mark Hager, who is due to move to the UK full-time in April after his visa approval, said: “It’s great to have Laura Unsworth back with the team, she missed our past three games due to injury, so we’re excited to have someone with Laura’s experience and leadership back involved, along with Amy Costello and Sabbie Heesh. Hollie Pearne-Webb is unavailable for the USA match but will be part of the squad for the Argentina game. GB Hockey haven’t announced a captain for the USA match. 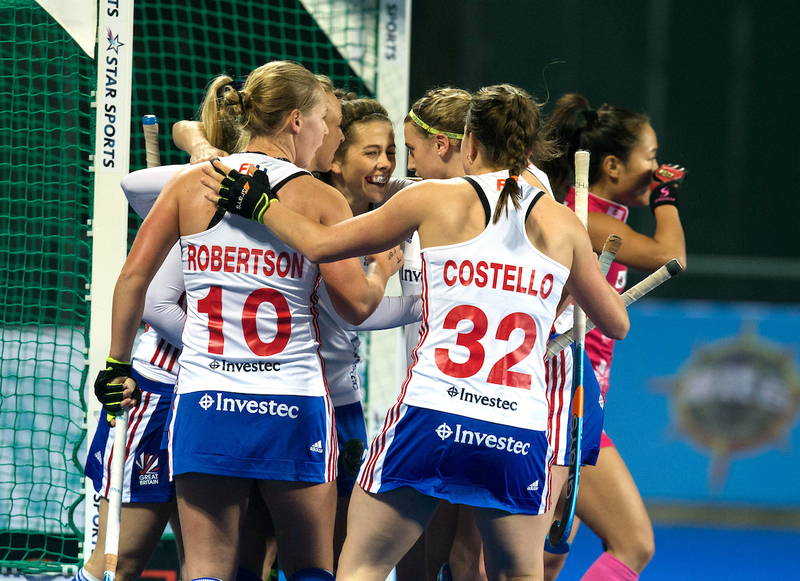 Great Britain have two points from their first three FIHPL matches after securing a shoot-out win against China in their recent game. Seasoned national forward, Tengku Ahmad Tajuddin (second from right) said that the recent heavy defeat to South Korea was just a friendly warm up match for the Sultan Azlan Shah Cup, and it was their first game with many new players in the team. KUALA LUMPUR: Malaysia were whipped by South Korea in a warm-up match for the Sultan Azlan Shah Cup which begins in Ipoh this Saturday, but nobody is pressing the panic button just yet. Striker Tengku Ahmad Tajuddin said it was either 5-0 or 6-0, as nobody kept count. “It was just a friendly, and it was our first game with many new players in the team. South Korea came at us very hard, and I think we lost 5-0 or 6-0, but it does not matter as it was only a warm-up match and we were trying out some new formations,” said the seasoned striker. The other teams in the Sultan Azlan Shah Cup are India, Canada, Japan and Poland. Malaysia open their campaign against last minute entry Poland, and coach Roelant Oltmans believes that the Poles will take to the field with a European style of play. “We have only watched Poland play from videos, as they have yet to arrive in Ipoh as of today (Thursday). However, they are expected to come with the expected European style of play, and from what we have watched, they are fast on counter-attacks,” said Oltmans. Oltmans concurred with Tengku Ahmad on the friendly match against the South Koreans, saying that he was trying out new tactics. “We played well in the early part, but let in too many goals in the later part of the match. I was trying out some new formations, and that it to be expected. “This is why we have another friendly match against India later today (Thursday) before we have a day’s rest, as then we play Poland in the opening match,” Oltmans pointed out. With many of the squad’s senior players on the crocked list, including first-choice goalkeeper S. Kumar and skipper Shukri Mutalib, Oltmans will have to gamble on newcomers. 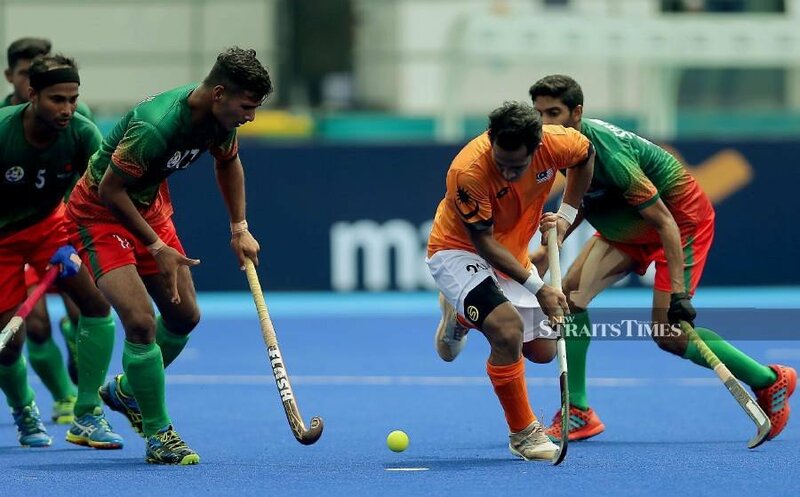 There will be seven new faces in the squad compared to the one which played in the recent World Cup in Bhubaneswar, and Malaysia could go either way on the standings. Favourites India have won the Azlan Shah Cup five times, including one co-shared with South Korea as the final was abandoned due to a thunderstorm, and even they are down, having to make do without seven regulars who are out injured. Despite being the hosts, Malaysia have yet to win the tournament, which began back in 1983, with the national side’s best showing being finishing as runners-up five times. KUALA LUMPUR: Hairi Abdul Rahman is ready to shoulder the challenge as the first choice goalkeeper for the six-nation Sultan Azlan Shah Cup which begins tomorrow at the Azlan Shah Stadium in Ipoh. The 29-year-old Hairi from Johor Baru will stand in for the country's No. 1 goalkeeper S. Kumar, who is down with hamstring injury. This is not the second time Hairi will play as the main goalkeeper in a tournament. Last October, he was the custodian in the Asian Champions Trophy in Oman and he impressed national coach Roelant Oltmans. Malaysia won the bronze medal in Oman thanks to his gallant performance in the penalty shootout. The match against Japan ended in a 2-2 draw and Hairi made three penalty shootout saves to help Malaysia win 3-2. Hairi, who has represented Malaysia 46 times since 2016, thanked coach Roelant for having faith in him. "I have proven myself in Oman and I will do my best between the post in Ipoh. I also need to play consistently well in the tournament to win a place for the World Series (in Bukit Jalil from April 26-May 4, which is a qualifying tournament for the 2020 Tokyo Olympics)," said Hairi, who will be featuring in his third Sultan Azlan Shah Cup. He made his international debut in the Sultan Azlan Shah Cup in 2016 and also featured in the tournament last year. The Malaysian Hockey Confederation (MHC) have set a target for Malaysia to win the tournament for first time. The other teams in the fray are India, Canada, Japan, South Korea and Poland. Hairi said it would be a challenge for them to lift the trophy as they would be up against teams like world No. 5 India and Canada who are ranked 11th in the world. "Both these teams are ranked higher than us. India have skilful players and they also have two good drag flickers in Amit Rohidas and Varun Kumar who played in the World Cup in Bhubaneswar, India last December. "But I believe that I will rise to the occasion and deliver when it matters most," said Hairi, who was named for the World Cup in Bhubaneswar but did not get a chance to play at all. Malaysia will open their campaign against Poland tomorrow. New Delhi: India's search for a new coach of the men's national team may end with Australian Graham Reid, according to reports in the Dutch media.